I was looking for a way to present/visualize state level data on an Indian map. I was not able to get that from the Bing maps application for Excel. I am sure there are paid applications that might provide this functionality. 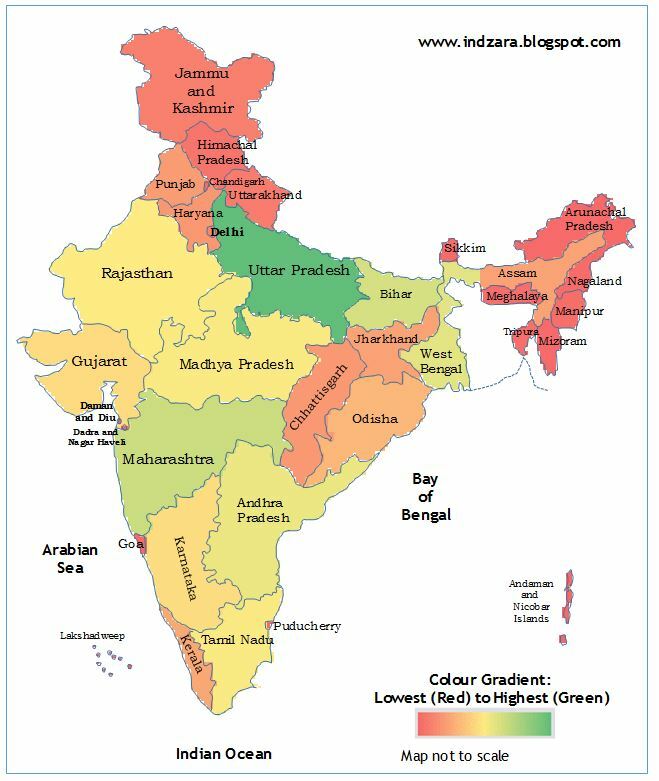 I think this is a very basic need and I decided to prepare a simple template that can help create geographic heat maps for India. 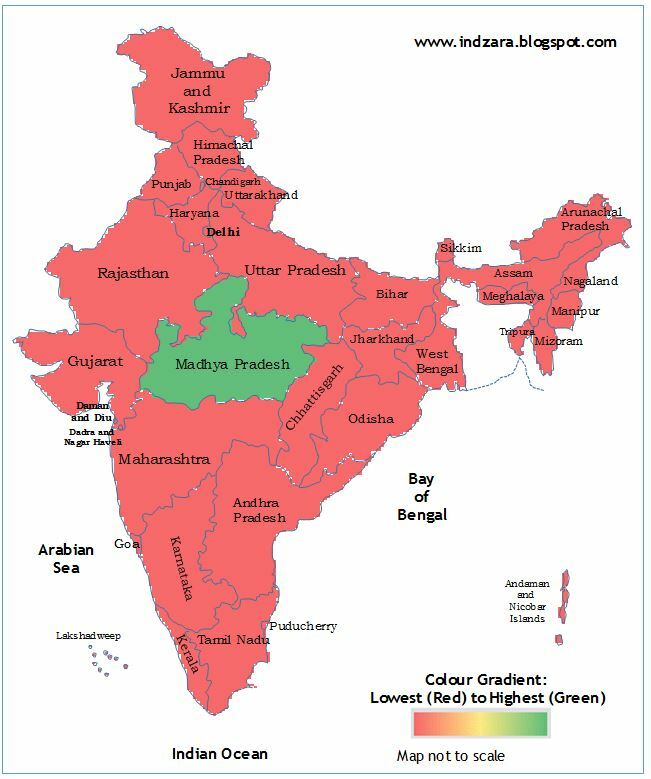 If you would like to create heat maps like the one above, download the template (Telangana added in June 2014). Please see below, a quick 5 minute demo of this template. Enter your (numeric) data in the data column and the map image on the right gets updated. They are currently ordered alphabetically. However, you may choose to enter them in any order. You can also use this template to showcase the position of one specific state. For the illustration above, I entered a positive number (1) for Madhya Pradesh and deleted the data for all other States/UTs. How is the heat map generated? The template has a hidden worksheet where the outline of India and States/Union territories were drawn with the cells pointing to corresponding data. Conditional formatting has been used to create the heat map. If you would like to change the colour gradient, read this article. If you know of better ways to do this or if you use any application to create such heat maps for India, please share your thoughts. I came across your blogpost on Heat Map for India. I will like to create a Heat Map for Nigeria. Please how do I go about it? How do I insert the image for map of Nigeria prior to inputting my data? You can unhide a few tabs and make changes as per your requirements. We have used data on the internet extensively. once i put all the data in for each state it corrupted the visual so that the colours and the outlines of the states just got all scrambled up. i’m using mac for excel. when i opened up the original file the map was uncorrupted, but sometime after it just changed to look like a surrealist melted clock. Please ensure that you are using Excel 2013 or later versions on Mac. Also, sometimes if the formatting is altered, the file is not useable. Check the details and in case you are still not able to use the file, sent it to contact@indzara.com with a list of issues faced.